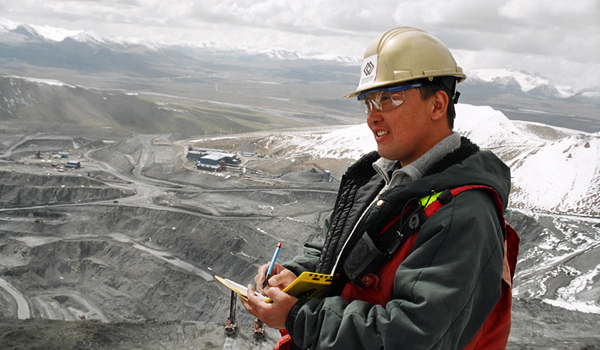 Kyrgyzstan's gross domestic product (GDP) jumped up 10.5% last year, boosted by Centerra Gold’s (TSX:CG) Kumtor mine increased output, according to data posted Wednesday on the country’s Ministry of Economy website. The Canadian miner is such a key contributor to the economy in the Central Asian country that, without taking Kumtor into account, the nation’s GDP would have grown by only 5.8% last year, according to official data. Gold output at Kumtor increased to 600,402 ounces in 2013 from 315,238 ounces in 2012, according to Centerra data released Monday. The company is currently dealing with a long-dragged dispute with Kyrgyzstan's authorities over the size of Centerra Gold's stake in Kumtor mine, the largest open pit gold mine operated in Central Asia by a Western-based company.